As a web designer myself, I could say building a website is very complicated and takes years of experience to achieve. Actually with many site building software solutions out on the market it can be very easy and you won't need to have any knowledge of HTML, or Hypertext Markup Language. Word processors usually have an option to publish in the HTML format, and whilst it doesn't produce the best coding possible, even Microsoft Word it can do the job. Using Magix Website Maker 2.0 is different. Installation is minimal to say the least. Most of your website is designed online, which means you won't have to update the software and your work is uploaded as you go. This means when you publish your finished masterpiece it will be very quick. If you still use a dial up connection (and not everyone has broadband) then you're going to have to work very slowly. Sites are created from templates and there are a range to choose from, with each design offering a number of layouts and different page types. 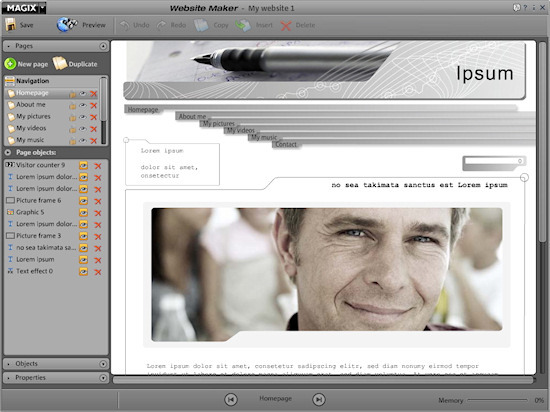 Your Website - MAGIX Website Maker (This will bring up the templates), Website Control Centre (which includes your email set-up). Photos, Video and Music - MAGIX Photo Manager 2007, MAGIX Xtreme Photo Designer 6, MAGIX Movie Edit Pro 11 silver, Mufin Music Finder. None of these programs are installed during the setup. They must be installed from the CD separately. It's Easy - Watch the tutorial (a step by step clear interactive instructions on how to edit, build and put effects on to your web pages), open online help. The service uses a Flash application for the site building and to create your site. This means your site will have lots of bells and whistles and look great, but will take a bit longer to load, and probably won't be indexed by search engines. With Google and the like, they like to be able to read the content, looking for keywords and if your site is made of a flash file, it won't be able to read the text contained inside. I selected a template and tried to change a picture. To do this, you have to go to objects, My Media, Pictures then click on the Upload button. 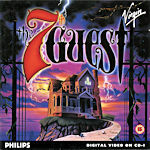 You are then asked which upload method to use, one at a time or express, where you upload several pictures at once. After clicking OK nothing happened. I tried again, and then tried to use Internet Explorer (in case there was some incompatibility with Firefox). Again nothing happened, so I had to go into the Internet settings and switch off the pop up blocker. When I tried this time a little window appeared asking me to browse for the picture. As it used the standard open file dialog, there was no preview for the files initially (you have to change the view to get them), so I had to remember the file name. I selected a gif file and it uploaded but nothing appeared in the list of files. I tried with a jpg file and that appeared. I then noticed that the browse dialog did not allow gif files. There are three picture formats used on web sites, PNG, JPG and GIF, but MAGIX seem to think only JPGs will do. I was trying to build version of the ROM web site using this software, but as most of the graphics are gif files, I could not do this. If the program told me that it didn't accept gifs, instead of just letting me upload it and then ignoring the file, then that would have been better. I have created Flash files before using other software and imported gif files without any problems, so it's not the format that is preventing me from doing this. 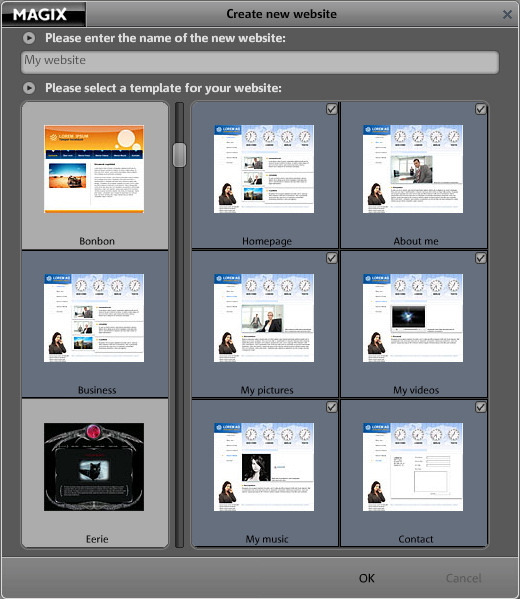 There are quite a few website templates to choose from but they are quite complex. A host of drag and drop frames, vector shapes, backgrounds, headers, footers, impressive text animation, and creative flash animation are also available, but as you are using this to create your own website, you think they would have made it easy for your to use your own graphics. In some software you could right hand click on the image and simply choose to replace it, but as this is a Flash program running in a browser window, you only get the Flash settings dialog. Website Maker felt a bit clunky and awkward, although it did have a glossy sheen that looked good at first glance. The layouts are over-designed and too specific, making them unsuitable for most people's needs. Although an entirely empty template is provided, that will be too daunting for most users who'd choose this kind of product, and some simpler, smarter templates should have been included. The interface is a WYSIWYG (What You See Is What You Get) environment so you know that whatever you do in the design stage will be translated exactly to your website. It helps when you add video as you upload a video file to your web space, drag it onto your site and a player is created around the file automatically. The 'export' function merely spits out code for linking to the Flash website that you create on the Magix server, rather than exporting your actual website in a format you could tweak. The new search engine optimisation (SEO) feature lets you add keywords and descriptions in meta tags, but these are rarely used by search engines. The Flash application is also much less responsive than a plain webpage. Often elements became editable only two or three seconds after I selected them. Editing text was fine to select the text, but having to search to find the options to change the font or size, instead of having the controls on screen was annoying. If you need to learn a few tricks of the trade or just swap some ideas then you can join the Magix Knowledge Community via Live Chat, accessible directly from the online application. On completion of your website just one click and Magix will publish your website to the world giving you a massive 5GB of space free for the first year after which there is a nominal fee. You'll need to pay a monthly fee after one year to keep your site on the server so this is not going to help if you've just bought a domain with web space and were looking for some software to design a website. Another thing that's missing is domain name registration. By default, your website is placed online at yourname.magix.net/website/. If you want your own domain (yourname.com), that'll come in at an extra £1.29 per month, or £1.49 with an email address, which sounds cheap until you realise that's twice the price many domain resellers charge. You also need to be aware that Website Maker 2.0 is a one-year purchase: after the first 12 months, there's a monthly fee for keeping your site online. Building a decent website has never been the easiest of tasks. Site-building software can make things easier but it often means sacrificing certain key elements of the web-building process in order to work. 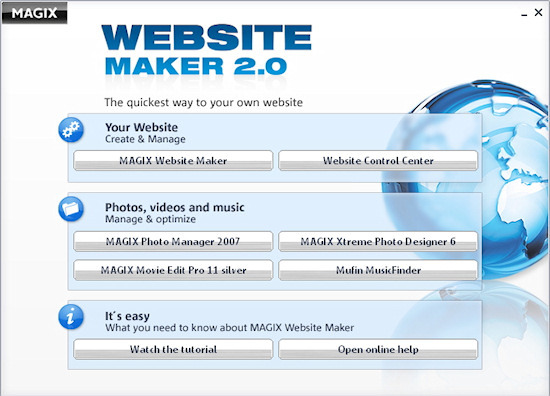 The previous version of Magix Website Maker won a Web User Gold Award but I think the competition couldn't have been up to much at that time. I found it frustrating to use and I know how to design a web site from scratch. Of course, this could have been my problem and the software would be easier to use by a novice, but I found the interface could have been simpler and certainly the restriction on files types was something that could have been avoided. Graphics card: Min. resolution 1024 x 768 with 16-bit high-colour. 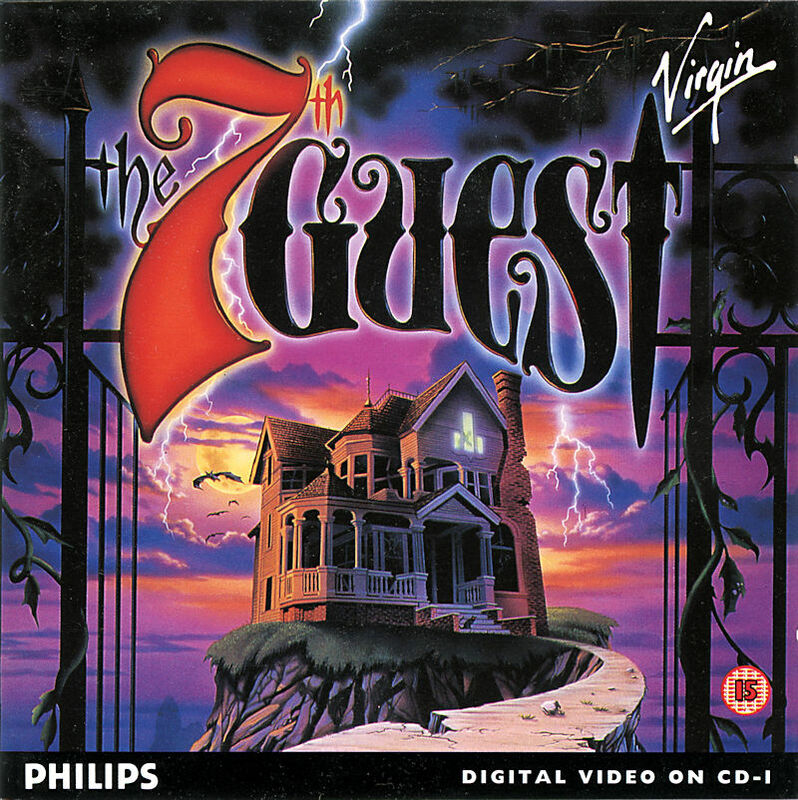 16-bit sound card, CD-ROM drive, compatible mouse.